Born in 1974, Alanda initially trained as a graphic designer and illustrator, but took up commissioned painting in 2002. Now, working from a studio at her home in Fochabers, Morayshire, she continues to develop her own distinctive style characterised by realist subjects, painted in oil, which are superimposed upon abstract acrylic backgrounds. Her paintings express her attention to detail whilst also allowing a creative freedom that brings a unique twist to each piece of artwork. 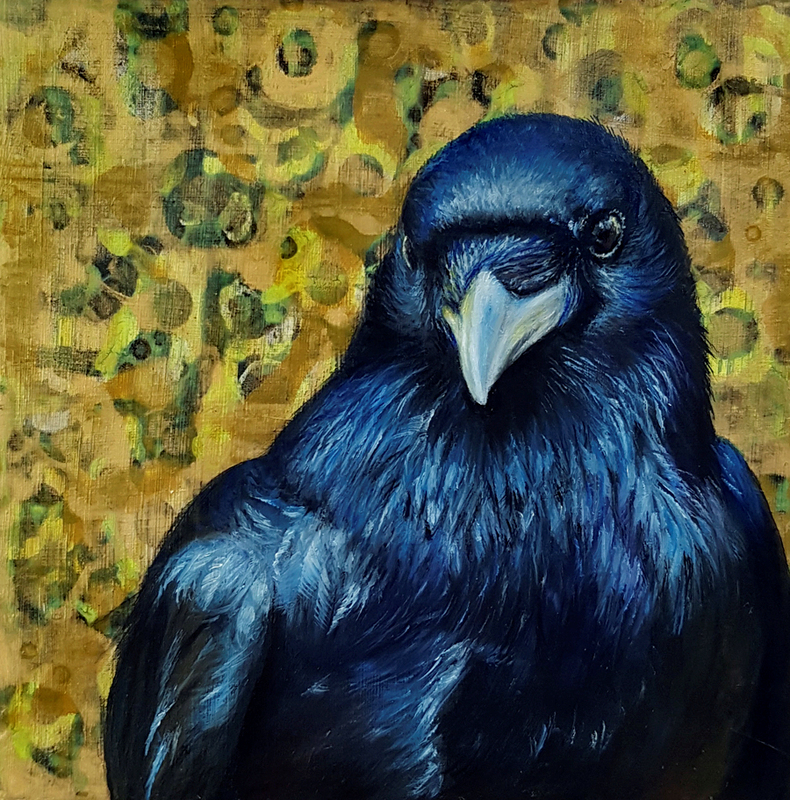 Her wildlife paintings are designed to focus the viewer’s attention on the animal itself. Although the backgrounds are busy, the difference in style and texture which sometimes incorporates the use of metallic paint, make the animal seem to stand out from the canvas. Alanda’s artwork has been displayed in numerous solo and group shows and has been acquired and commissioned by collectors across the UK and in the US, Canada, Australia, and Europe.